Sandboxie is an awesome on-the-fly sandbox application for Windows! It provides you the functionality of running an application in a sandbox just by a right-click. No VMWare or VM to manage. Basically, even if you updated your VC++ Redist manually, the download will still happen and likely fail again and again. 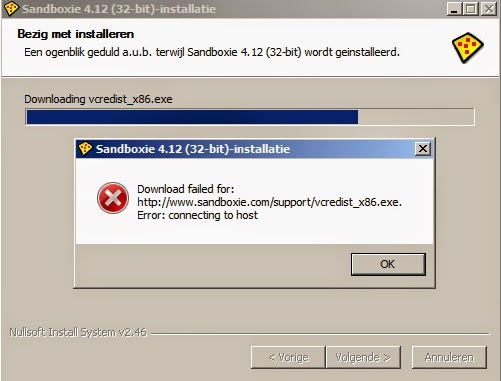 To overcome this, Sandboxie actually had setup standalone version of their installer and it will solve the problem, but I still strongly suggest you update your VC++ Redist manually first before downloading this and running it.